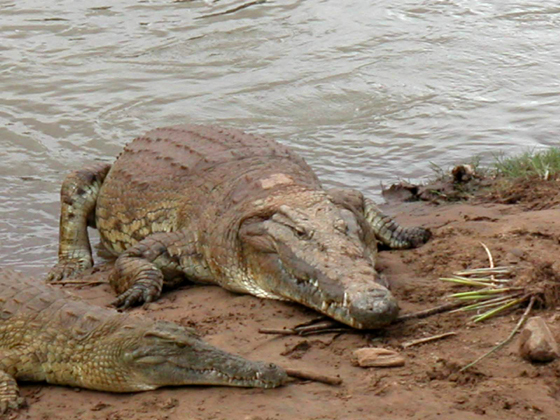 Crocodiles are exceptional predators. Their skin is thick and strengthened by horny plates. Their teeth, between 30 and 40 per jaw, are tapered, all alike. When their mouth is shut, the teeth of the upper arch perfectly mesh with those of the lower arch. They spend a lot of time in water, where they move nimbly. They are clumsy when aground but often go back there because, like all reptiles, crocodiles too need to warm their bodies in the sun.